Western Digital subsidiary HGST has shown a 10TB hard drive at a tradeshow for Linux and open source storage developers. So yes, 10TB hard drives are a thing now. 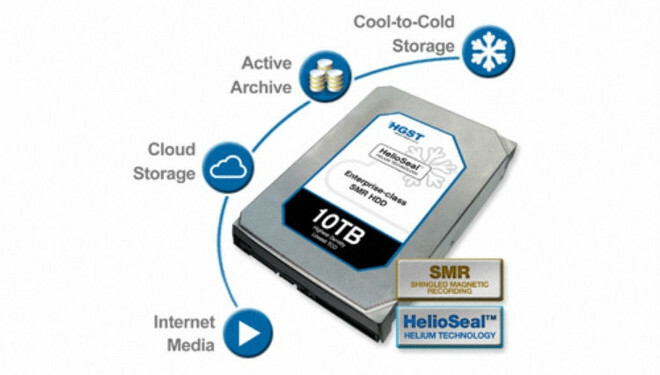 Unfortunately though, the 10TB SMR HelioSeal HDD by HGST is destined for enterprise use only. But in a few years, who knows, one of its successors (of the same capacity) may just end up inside your next desktop PC – if by that time consumers will still buy hard disk drives, of course. Or PCs. Yet if another “post-PC” era will not in fact be upon us in the next period, then this drive may just be a showcase of the future. It has Shingled Magnetic Recording (that’s what the “SMR” in its name stands for), which boosts density and enables more data to be crammed into every platter. The disk is sealed and filled with helium gas (which is where the “HelioSeal” brand gets its name from), something that helps reduce read/write head friction and enables HGST to put more platters into a single drive – one that, from the outside at least, resembles an everyday desktop HDD. Pricing for this drive hasn’t been announced yet, but it will reportedly be shipping during the second quarter of this year – so at some point from April to June.